If you’re an Apple Music user, you might already know that the service officially does not have a web player. As of now, you may only access the Apple Music catalog officially through iTunes on Mac and Windows, or via Apple Music app on Android and iOS (native music app). But there might be situations where you might want to access Apple Music on your browser. For instance, you might want to play your music at work where your computer doesn’t have iTunes, or maybe to play Apple Music on a Linux system, which doesn’t support iTunes at all. Spotify has a pretty robust web player, and it can be rather frustrating at times to realize that such an alternative still doesn’t officially exists for Apple Music. Well, official or not, it’s possible to play your Apple Music Library in a web browser. This article will demonstrate how you can access it. 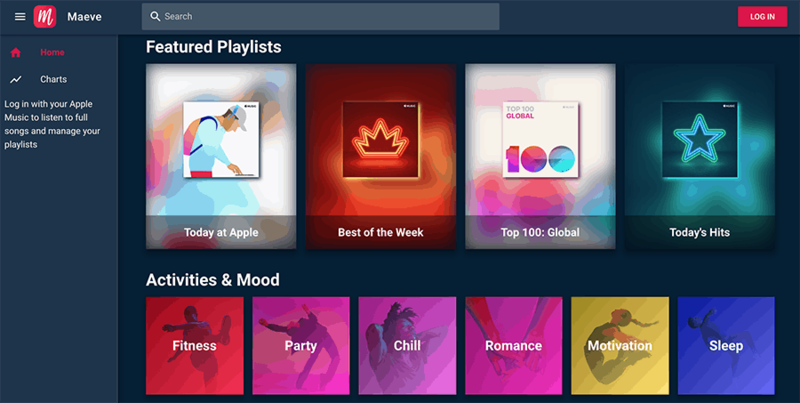 Even though Apple Music doesn’t have an official web player, it does allow publishers to embed an interactive Apple Music widget for a specific song, artist, album or playlist on a web page. Earlier, this embedded widget or web player could only stream preview versions of songs from Apple Music. However, a few months ago, a Reddit user noticed a slight change in the interface and functionality of the embedded player. Now, you can actually log in to Apple Music within the embedded player and stream full songs. But you need to know a little trick in order to access the entire Apple Music catalog. Visit the Apple Music Marketing Tools website. In the search box, type the name of the song, artist, album or playlist that you’re looking for and hit Return. Click on an appropriate entry from the search results. You will be redirected to the corresponding song, artist, album or playlist page. This page will contain a preview of the embedded player. You can tap on any song in the player to stream a preview from Apple Music. Now, click on the Sign In link on the top-right corner of the embedded web player and sign in with your Apple ID. Confirm on the prompt to allow the website to access your music library. And you’re done. Now, you’ll be able to stream full songs from the Apple Music catalog. To search for a different song, artist or album, just use the search bar on top and click on the result. The corresponding web player will now be available for streaming from Apple Music. Though this trick does not unlock a full-featured web player, it’s quite functional and gets the job of streaming Apple Music on the web done. Maeve is as close to a full-featured Apple Music web player as anyone can get, at least at this moment. The app uses Apple’s MusicKit API to access your music library and lets you stream it online in a web browser. By default, it shows you a list of curated playlists of varying themes, including new releases. When you’re not signed in, Maeve lets you search the entire Apple Music catalog and stream previews. Log in with your Apple ID, and with your permission, it gives you access to your entire Apple Music library, along with Albums, Artists, Playlists and Songs sections. Moreover, you can now search and stream entire songs from the catalog. The app also shows you an Apple Music curated Home Page as well as a For You page, both of which are likely identical to that found in the official Apple Music apps. The web player also supports background playback through native and third-party web browsers on iOS devices. So, for some reason, if you can’t launch the native Music app, now you can access and stream your music library on Safari instead. As if this was not enough, the web player recently integrated song lyrics into the app, courtesy of Genius. Whenever you play a song, you can view its lyrics by clicking on the Lyrics button located at the bottom section of the player. Note: Another Apple Music web player app called PlayAppleMusic.com also provides a similar set of features. So, this is how you can stream Apple Music on the web. 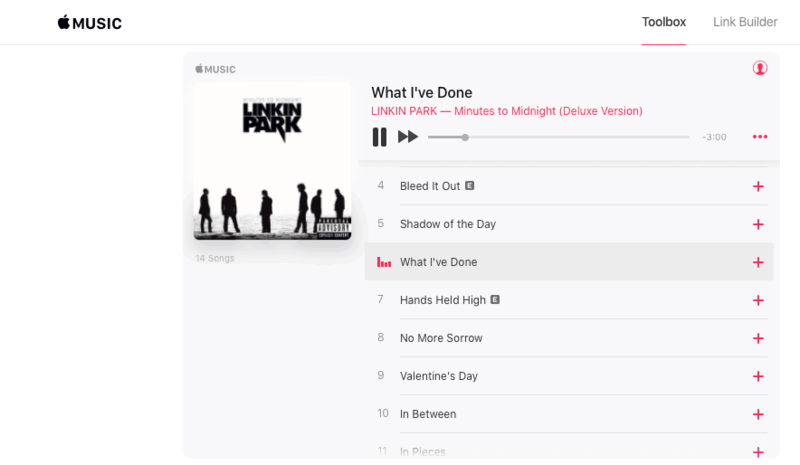 The official Apple Music toolkit creates a temporary embedded web player, which is suitable for streaming a predefined list of songs from the Apple Music catalog. Alternatively, if you’re looking for a full-featured web player, Maeve is a great option, considering it’s a third-party offering.